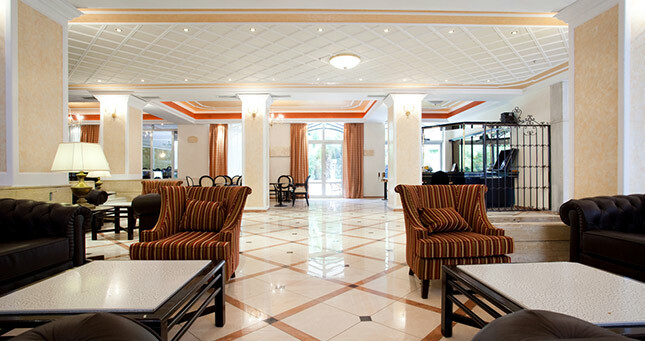 We welcome you to our hotel Achillion Palace in Rethymno. The ownership and employees are determined to make your stay on one of Greece’s largest and most beautiful islands, a pleasant and memorable one. This hotel directory has been designed to ensure that you have been given all the necessary information regarding the facilities and services we offer. If you have any further enquiries, please contact Mr. Thanassis Frangidis, our manager who will be more than happy to assist you. We want you to enjoy your stay with us! Bedrooms are equipped with multi-purpose plugs. However if you need any assistance please contact the Reception Desk. The hotel’s electrical supply is 220 Volt. The nearest banks are in the town of Rethymno 100m from the hotel and are open Monday – Thursdays 08.00 – 14.00 and Fridays 08.00 – 13.30hrs. Please contact the reception for information about the closest ATM. Timetables are available at the reception. As there are no bus conductors, please ensure that you buy your bus ticket before entering the bus. These tickets can be bought at the square close to the hotel or at the bus station. 12.00 noon. Guests wishing to extend this time should contact the Reception before 10.00 am on the same day. We kindly ask that you check with our Reception Desk when handing in your key if any account is left unsettled. Please always return your key card to the Reception when you are not in your room. 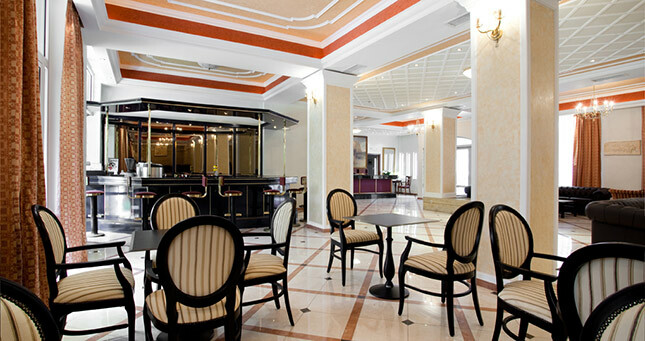 The hotel has conference and banqueting facilities. For further information please contact the Hotel Manager. All credit cards are accepted: American express, Diners Club, Visa, Eurocard, Mastercard, Access. Please ask at the Reception for further details. In case there is need for this service, a Doctor is on Emergency-Call at all times. First aid kits are available at Reception. A “DO NOT DISTURB” card and a “MAKE UP MY ROOM” card can be found hanging on the door of your room. Clients should familiarise themselves with the Emergency Procedures displayed in the room. In case of fire please use the staircases. DO NOT USE THE LIFTS. There are fire extinguishers in each corridor. A fire sprinkler system operates in all public areas and corridors. In the event of fire, please advise the telephone operator and leave the building immediately. DO NOT SMOKE IN BED. Information on excursions, car rental, scooters and bicycles is available at the reception. We regret there is no service on weekends or on public holidays. 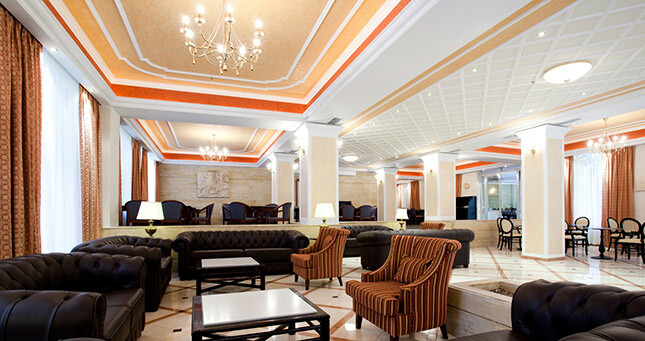 After you return in the evening you can enjoy a glass of Cretan wine or a cool beer at the lobby bar whilst relaxing in the hotel’s own garden. For luggage service please contact the Reception. Incoming mail and messages will be kept at the Reception. Please contact the reception to organize your meal with an external restaurant. The Pool bar is situated on the roof of the hotel on the 6th floor. For our guests there is a big parking area at the Marina which is situated 250m from the hotel. There is a mini fridge in your room. Room Service is available 24 hrs. Please contact the reception 9. The swimming pool is located on the roof. Please contact the reception to organize your transfer. Can you imagine how many towels are unnecessarily washed every day and the great amount of washing powder needed which thereby pollutes our water? Please decide: towels thrown into the bath tub means: “PLEASE CHANGE”. Towels hung on the towel rail means: “I’LL USE IT AGAIN – FOR THE SAKE OF OUR ENVIRONMENT”. Please notice that it is not allowed to use these towels outside of your room. The guest is charged with any damage or loss. Daily towels change upon request, please inform the Reception. Please see your telephone directory or contact the reception by dialling 9. At the beginning and at the end of the season it is possible that there are changes in the above timetables due to weather conditions and time changing.